THERMOCOAX is a large thermocouple manufacturer for complex industry like aircraft engine, heavy duty gas turbines and SOFC fuel cells. 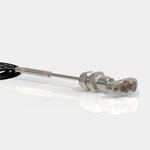 We develop and provide thermocouples up to 2300°C. We play with the cable sheath material to fit with harsh environment on machines. 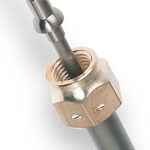 For applications up to 1000°C, we offer K and N type thermocouples, class 1, from diameter 0.25 to 6mm. For high temperature, we offer S, R,B and C type Ø0.7mm up to 3mm. Their high quality is demonstrated by the mineral insulated cable manufactured in house. We offer 100% traceability up to the raw material. 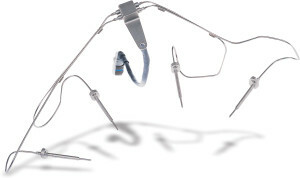 We provide thermocouples for testing and qualification programs but also production thermocouples. We have achieved the 24 000 operating hours requested by the market. 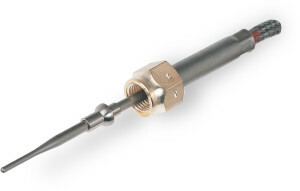 We have engineers dedicated for these thermocouple applications. 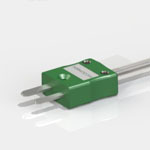 We offer engineering support for customizing the thermocouple, building rake thermocouples. 100% of the thermocouple cable manufactured in house is controlled in our NIST-approved temperature laboratory. 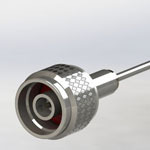 We have the capability of calibrating by fixed points up to Silver icing point 961.78°C or up to 1300°C by comparaison. Tungsten-rhenium, refractory alloy is the only solution above 1700°C for long-time use.